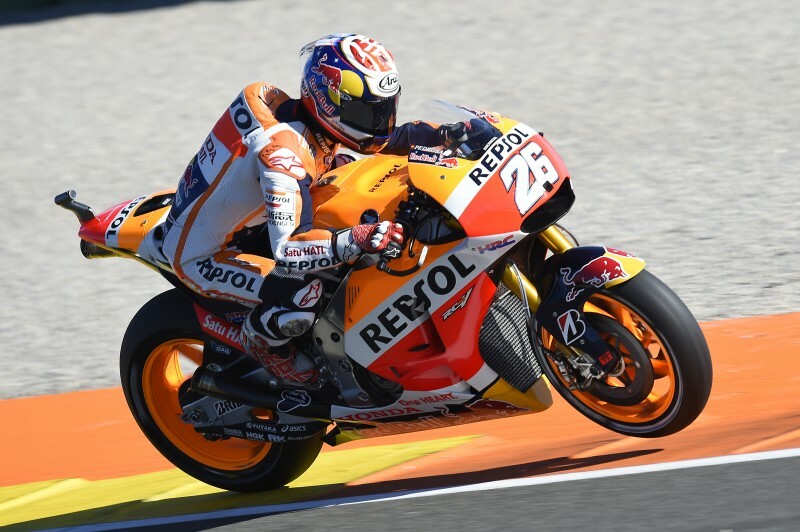 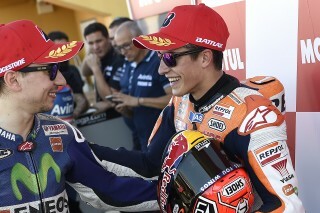 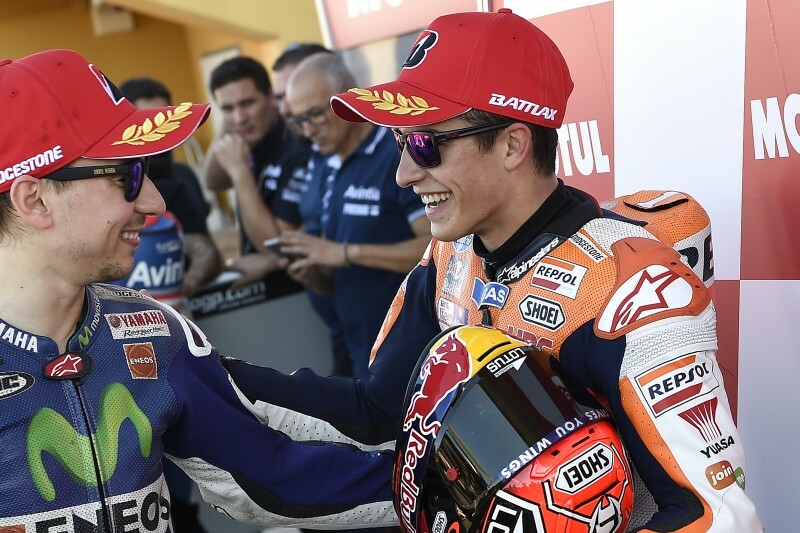 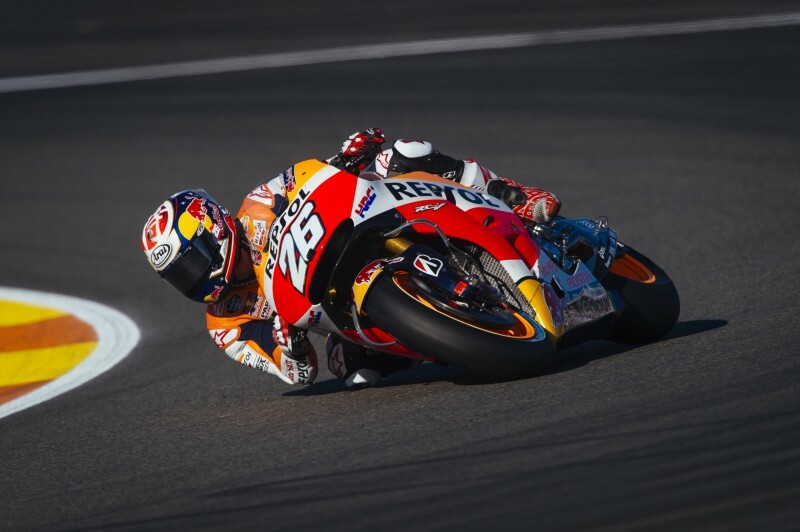 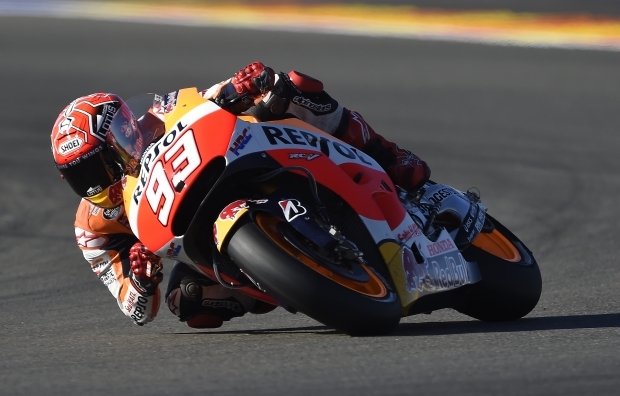 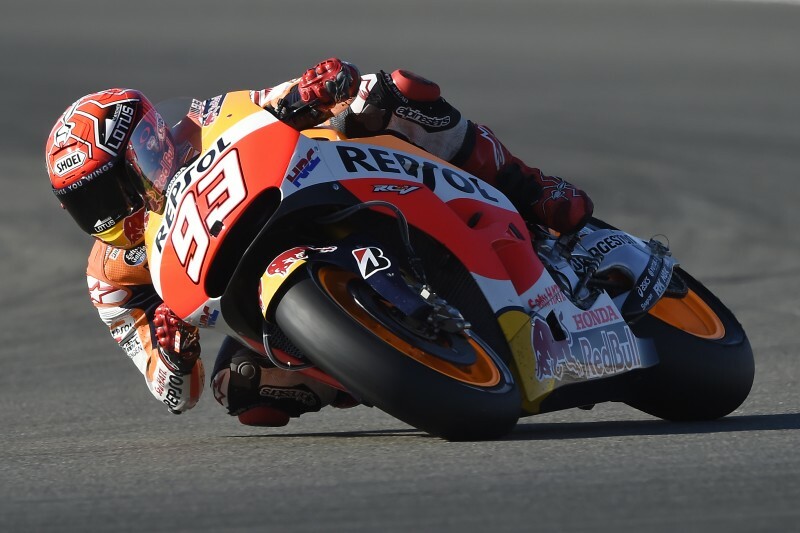 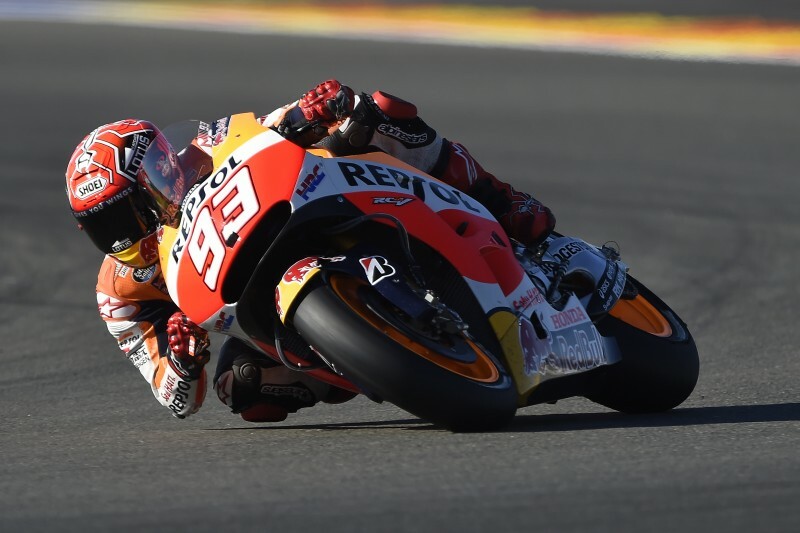 Marc Marquez and Dani Pedrosa will start tomorrow’s Valencia GP from second and third on the grid as they look to finish the season on a high note with victory after winning the last three races. 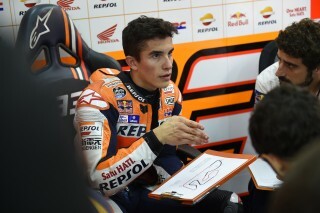 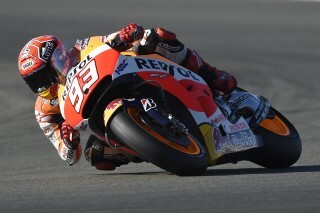 Marc secured second place behind Lorenzo after completing three runs in qualifying and taking provisional pole early in the session with his time of 1’30.499 on his first flying lap. 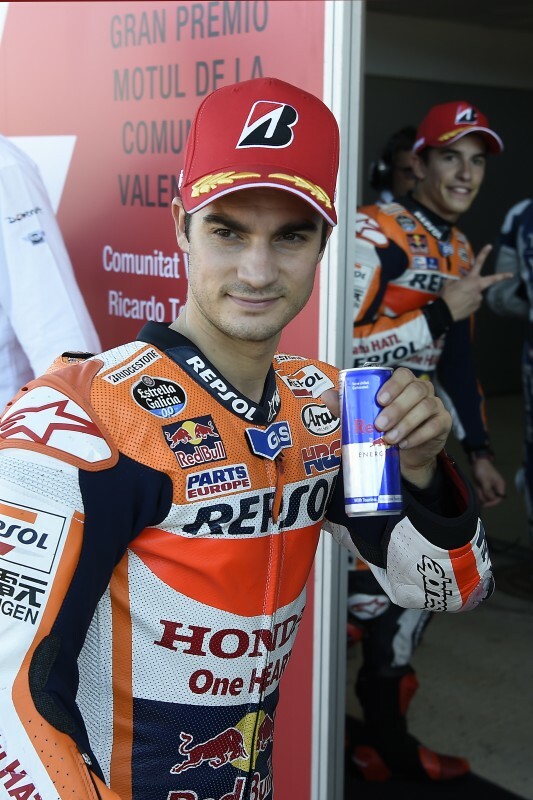 Dani opted to make only two exits and improved on his second run with a lap time of 1’30.516 on his final flying lap, placing him alongside Marc on the front row, just 0.017 seconds off his teammate. 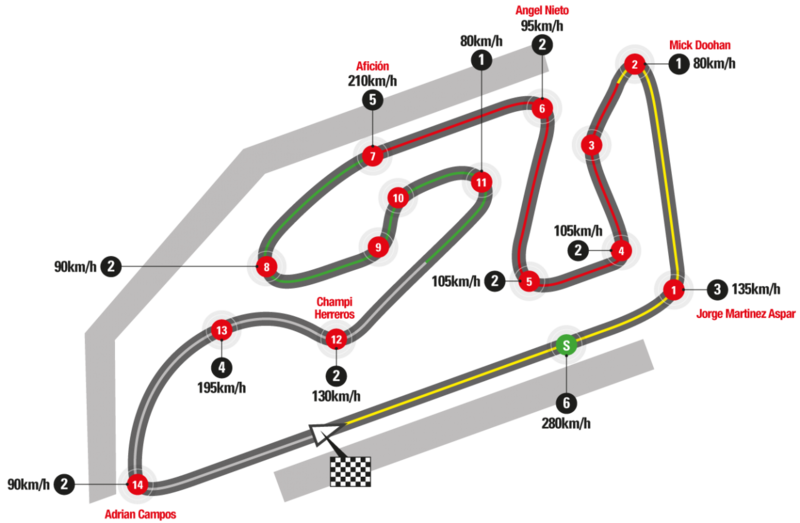 The final race of 2015 will commence tomorrow at 14h00 local time. 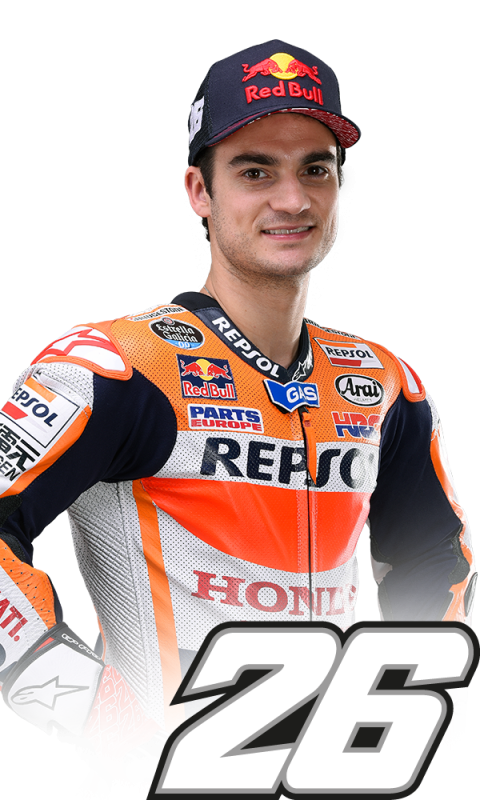 "It's all very close on the time sheets with regards to race pace and I think it will be a tough race tomorrow; there is not much between us. 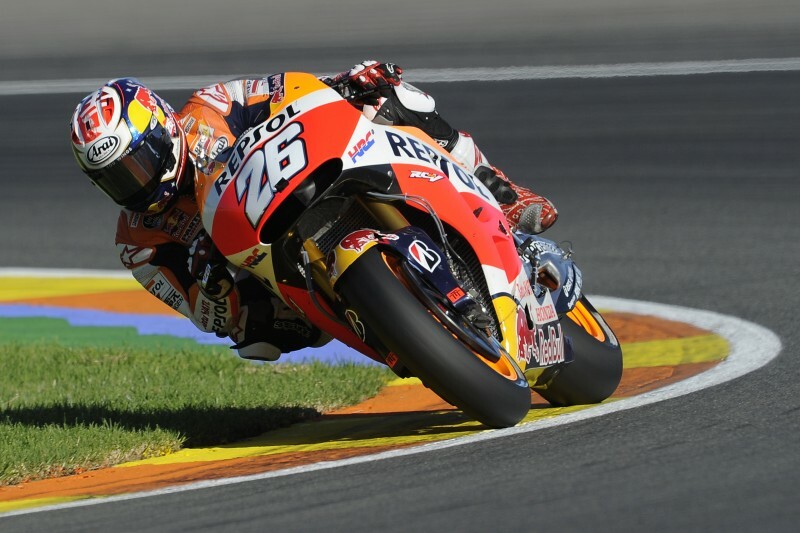 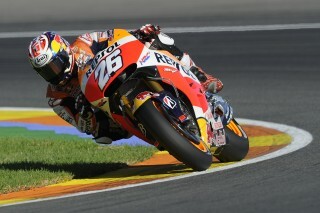 We need to see what happens with the tyres and how the bike responds after ten consecutive laps. 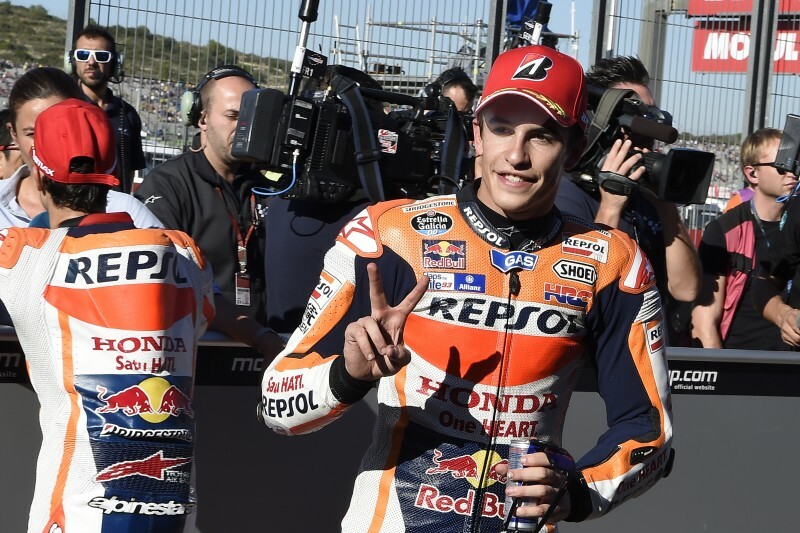 We are on a par with Dani and Jorge and I will try to get on the podium and and hope to fight for victory at this last race of 2015!" "We'll see how it tomorrow goes and hope to be in the fight for the victory. Yesterday we had some problems but today we took a step forward and are in better shape. 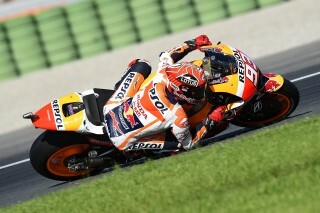 We'll have to start the race very focused and I'm looking forward to racing at this track, in front of the home fans. 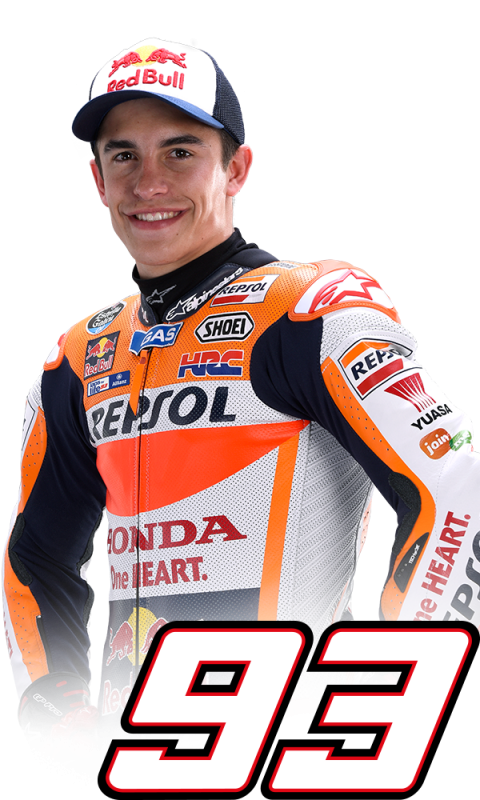 I’ll push 100% because it is sure to be a hotly contested race; Marc and Jorge have a strong pace so let’s hope for a good race!"